This dish is one of the most tasty and healthy breakfast. Black eyed beans are known as alasande kalu is kannada (official language of Karnataka state in India) and pancakes are called dosas. Normally these beans are used in preparing Sambar, veggies and curries, where as I am using them as main ingredient in preparing breakfast. I tried this recipe last week, believe me it came out very tasty and aromatic as well. You don’t need to wait for it’s fermentation, you can start making dosas instantly. We all know that beans, including black eyed beans, are high in protein and low in fat. Eating legumes regularly may help in loosing weight. They are rich in dietary fibre which helps to promote regular bowel movements and improve the health of the entire body, especially the digestive system. Surprisingly they are high in Vitamin A which is very good for eyes. We can add black eyed beans in our regular diet for protecting our eyes and skin as well. Knowing all these health benefits, I am trying to use these beans in our regular diet in different ways. This recipe is one of them. I made it very simple, if you try it, you would love to do it again. It would be better if you use dried black eyed beans which give better flavour, taste and texture than canned one. You can use canned beans in case you don’t get dried one. Let’s see how to prepare alasande kalu dosa. You can add green or red chillies if you like spicy one. Clean all the ingredients. Take a big bowl and pour all the ingredients – alasande kalu, groundnuts, rice and methi seeds to it. Wash them three to four times thoroughly and soak them in one litre of warm water for 2 hours. After 2 hours, you can check whether all ingredients especially alasande kalu, are fully soaked or not. Take a soaked bean in hand and press it by two fingers, if it is fully soaked, it will break into small pieces otherwise it will be hard to break. You can start the next process once you confirm that they are fully ready. Pour soaked ingredients to a mixer jar. Add salt and half cup of water to it and grind it to a fine paste. Add green or red chillies while grinding if you want the dish spicy. While grinding, if required, you can add some more water to it. consistency of the batter should be thicker than that of dosa (pancake) batter. Place a pan (tawa) on medium heat and wait for 2 minutes. Once pan gets heated start the process of making dosas (pancakes). Pour one big spoon of batter over pan and spread it uniformly by moving the hand in circular motion. Sprinkle few drops of oil over it or you can use oil brush for greasing and allow it to cook for 1 minute. Turn dosa (pancake) upside down with the help of a ladle. Grease the other side of dosa (pancake) with few drops of oil, allow it to cook for 1 minute. Take it out, place it in a plate and serve it with chutney of your choice. You have to repeat the process for the remaining batter. Healthy and tasty alasande kalu dosa is ready to serve. Isn’t it easy! In southern part of India, we, normally, prepare varieties of dosas (pancakes) for breakfast. We make dosas using all types of pulses and cereals, some of them can be prepared instantly and some of them require processing. I have prepared this recipe (Kidney beans pancake) using rajma (kidney beans) with some herbs and spices. Believe me it awesome and came out very tasty and delicious. One more good thing about it – you can make it as you like, you can make it soft like set dosa or crisp like rava dosa. 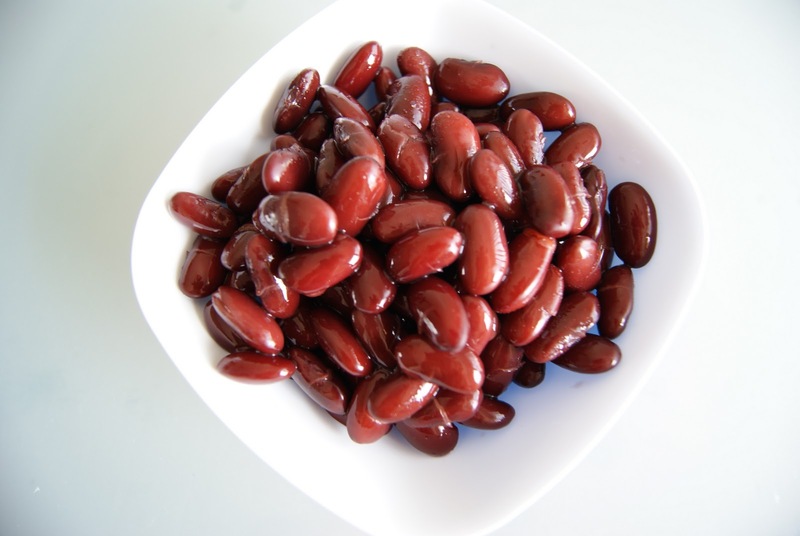 At the same time, Rajma beans are rich in proteins, minerals and fiber. Breakfast with rajma recipe is very healthy. You will be glad to know that this recipe requires very less preparation and it can be prepared instantly after dough is ready, you need not wait for fermentation. Now, I am going to tell you how to prepare Rajma dosa or Kidney beans pancake.